Every Chinese restaurant serves egg drop soup and for good reason. 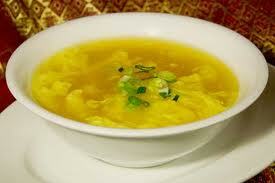 Egg drop soup is quick and easy to prepare as well as delicious to eat. I burst out laughing in a supermarket one time when I see envelopes of “egg drop soup” mix on the shelf. Containing salt and chemicals, I know you would abstain from it, but why worry about it, because you can make this soup in your sleep with your eyes closed, it’s so easy. If you make a Chinese-style meal at home, egg drop soup takes very little more effort right before sitting down and adds a nice touch to the meal. Want to give it a go? Bring stock or broth to boiling. Okay? Egg drop soup is simple, right? You probably already have the groceries in your cupboard, so go ahead and add another dimension to your dinner. Love the recipie, gonna hav to make this one, my hubby loves it! 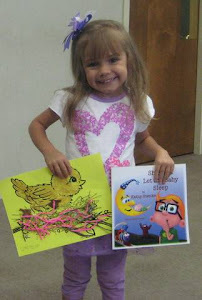 I also included you in my A.D.'s FAV 5 of the A to Z Challenge- today's posting. Never heard of this soup apparantley I'm out of the loop. sounds like something i might just have to try soon! sounds yummy!! And relatively healthy. Score! I really like Egg Drop soup!! I have never made it and usually only eat it when at a Chinese Restaurant. This sounds easy enough, I might just have to try it. My first wife was chinese and that was one of her favorites, I grew to like it also, especially from a certain restaurant we frequented. Can't wait to try this one, those packaged soups are horrid. A.D. DULING: Thanks for mentioning this blog and this soup. Try this soup and you will want it often. PAT HATT: Never heard of egg drop soup? Don't let your taste buds droop. Make some soon and they will swoon. TORVIEWTORONTO: Yes, goes good that way and in the Italian Stracchiatella too. LYNN PROCTOR: Please do, you'll find it quite easy to make. SUSAN ROEBUCK: Whats that saying? "Two countries separated by a common language"? British eh? I bet you like Lancashire Hotpot. Now Miss Susan, you can make this soup very easily and you certainly deserve it. So go ahead and treat yourself. THE HOPEFUL ROMANTIC: Sounds like a two-fer. Thanks. MY JOURNEY WITH CANDIDA: It is the easiest soup to make, so you can enjoy it at home without any fuss. RCH: Yhanks You, I know you will like it. I love egg drop soup and once I found out how easy it is I stopped thinking it was just for eating out at the Chinese restaurant. This is an easy soup to make. Great post Anthony! KAREN G: Nice to meet you too. Yes, enjoying but is a lettle hectic. TRACY: You can't go wrong with this soup. Thanks. Great recipe. Thanks for sharing. Thanks for visiting me too. DONNA MCDINE: You are most welcome, Thank You for your hospitality to my BW, Kathy, The Education Tipster. Re the Capital/ol from my blog. I first had capital and something from grade school popped in my head so I changed all the words. But I changed them wrong. Only you, the detective, noticed. Boy, lovely way to present the soup; I mean the words and the photo. Hmmm it really won't taste eggy? MANZANITA: I promise you could. I would love to personally prepare for you if I could. Re: capital/ol- I was afraid you would think me impertinent, impudent or just plain rude. In the capital city of Louisiana on the interstate highway,there are signs indicating the capitol. But those are govt workers so I don't expect correct spelling. THE JUNKIE BOOK: You are so very kind in what you say, Thank You.